Explore Networking Opportunities And Joint Ventures, Find Affiliates, Recruit Talented Staff, etc. The days of passively talking “at” your audience online are well and truly over. It’s no longer enough to just put up a page on your website with static information. To succeed in today’s highly connected global and digital world, requires actively “listening” to your audience’s needs and feedback, and building a social community around your brand, products, and company. Social channels create a direct line of communication between your brand and consumers and give you instant access to the latest information about your services or products. Tracking social media activity allows you to gain insights into your brand’s overall visibility on social media, take preventative measures against the spread of negative comments or feedback by online users, identify potential market opportunities, measure the impact of your marketing campaigns, and spy on the competition. It can also provide you with valuable information about emerging trends and what clients and consumers think about specific products, topics, businesses, or brands. As a tool for business intelligence, social media signal monitoring is invaluable. Using social media monitoring as a form of business intelligence, however, is a complex undertaking, typically carried out by various groups that include marketing professionals, market research, digital reputation management companies, agencies, social engagement and community staff, and sales teams. Typically, many small businesses can’t afford to pay social media monitoring professionals to continually track their coverage in the media. Fortunately a number of providers have created many affordable tools to facilitate the active monitoring of a variety of social media channels, enabling companies to identify and even predict consumer behavior around their brands or products allowing them to react to conversations and engage with online users in various social media platforms. Isn’t it time that I explore several social media measurement tools and technologies that are worth checking out and knowing about. WordPress is not only a powerful, scalable and easy to use CMS platform used by millions of businesses worldwide, WordPress also integrates fully with many social media applications, allowing you to easily grow your online presence in the social realm. With a WordPress site and some of the tools listed here, you will be able to tap into full range of benefits offered by social media marketing. Let’s take a look at some of the reasons why WordPress is an ideal platform for marketing your business on social media. WordPress includes built-in social features, like commenting and discussions. A range of WordPress plugins can add additional social features to your site that let you reach a wider audience on social networks like Facebook, Twitter, LinkedIn, Pinterest and many others. For example, there are plugins that can add social sharing buttons, forums, add images from Instagram, Twitter cards, Facebook feeds, testimonials, surveys, polls … even optimize your content for various social networks. 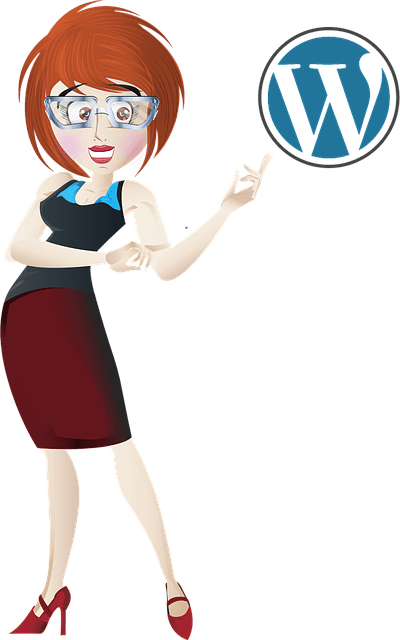 WordPress is not only ideal for social media as a content marketing tool, it can also be completely transformed into a full-featured social network, using WordPress plugins like BuddyPress, WPSymposium, and others. BuddyPress allows you to run a social network on your website. BuddyPress is known as “social networking in a box.” You can turn features on and off to suit your needs and the plugin has an active community of plugin developers who regularly contribute new plugins that greatly extend the application. WPSymposium lets you work with the theme you have. You can add features to posts and pages using shortcodes. Many social media platforms let you get your information out to a wider audience, leverage multiple social channels simultaneously, build your business presence online and manage all of your social marketing strategy from one central location with with ease. If you want to manage most of your social marketing strategy from WordPress, you can. WordPress not only lets you publish content on your own domain, it also has a number of great plugins that allow users to easily share your content online on Twitter, Facebook, LinkedIn, Pinterest, etc. Social media marketing tools and services allow you to listen to what your audience wants, identify trends and new opportunities and stay ahead of competitors. Once you have identified new content opportunities, you can post messages individually on each of the social networks you’d like to reach, or publish these on a WordPress site that’s been configured to automatically notify your social networking sites. Also, many applications are available that let you run surveys online and help you create consumer-driven sales funnels. Many applications can be easily integrated with WordPress. Building your business reputation and brand online, showcasing your talent, or establishing your authority online requires commitment, patience and a robust social marketing strategy. You are engaging with real people online, and so your interactions must be meaningful and authentic. Focus on the needs of your target audience, and listen to their conversations for valuable insights. Remember, we are born with two ears and one mouth as a reminder that we are meant to do twice as much listening as talking. What you post online and how you respond to other user’s comments and discussions is very important. Everyday we hear horror stories of brands that handle a situation or customer complaint very poorly and end up paying a heavy price as soon as the online community gets hold of the news. Social media lets you be seen and known everywhere. This can make it easier for others to see you as a credible authority in your niche, industry, or area of expertise, but it can also take up a lot of your time. An expertly-configured WordPress-driven blog is an ideal platform for building your online reputation or brand. It helps you establish your your expertise online, showcase your talents, share valuable information with your clients and customers, and drive new visitors to your business. Being able to monitor social media conversations allows you to observe and discover the success strategies of experts, authorities, and influencers in your niche. Recruitment companies research social media profiles of individuals when looking for potential candidates to fill specific positions. As a business owner, you can do the same, and look for staff, network with other business owners, and connect with like-minded marketers and potential JV partners. Using social media to explore new opportunities can increase your revenue, get your brand seen, and lead to potentially lucrative new ventures. Most businesses would love to have a viral hit. “Going viral,” however, is quite difficult to achieve, as it relies on many factors that cannot be controlled. Throwing loads of money at a clever or cute marketing campaign is no guarantee of viral success. Many ridiculous memes have succeeded virally while large brands and corporations have failed. In many cases, the best you can do is know your audience well, and provide content that users will find so useful, compelling, informative or “spot-on”, that they will be naturally motivated to share with others. Some of the tools listed in Part Two of this article could help your content go viral, or at least help you set up relatively inexpensive marketing campaigns. You have probably heard about online reputation management. If you haven’t, you will be hearing about it more and more as time goes on, because it is becoming increasingly more important for high profile and even general individuals and brands to track what others are saying about them online – especially negative comments, reviews, etc.. No doubt you’ve heard it said before that when someone has a bad experience with a product or service they tell 10 other people about it. Real or imagined, bad news travels fast. People or competing businesses could be posting negative material online about you or your business and if this goes unchecked, this can do some serious damage to your reputation. Originally an aspect of the work of PR companies, reputation management is now an issue that affects many companies and individuals online. If you or your image, name or reputation is being affected by negative material being posted online, you have to find a way of diluting the negative with an excess of positive content, or restoring consumer trust and confidence. Before you can begin to stop negative things being said about you or your brand from spreading further, however, you first have to find out about it. The sooner you can spot a negative comment, bad review, or misinformed opinion, the sooner you can begin to do something about it. That’s where social media monitoring tools can help you. If you Google your name or your business and find that a competitor has published fake reviews or customer complaints designed to discredit your business, you can then do something about it, e.g. post a response, contact the person directly, etc. Companies are currently ignoring opportunities to attract new customers and grow their business because they are not effectively monitoring their online reputations. A former spouse in the middle of a bitter divorce or child custody battle feels hard done by. A potential employer searches online for information about you. They may not find anything bad, but there may not be a lot of good, positive things published online either to support the things you have listed in your job application. Even if you are just starting out, it’s good to create a “set and forget” alert system, so that if any conversations about you do come up online, you can act proactively and deal with it in a timely manner. Do you have an digital reputation management strategy in place for your business? Regardless of what niche or industry you operate in, there are always new and exciting things happening. New products, new services and new apps get released, events get scheduled and announced online, influential people get mentioned in the news, companies release useful information, new videos are published containing fantastic tips or ideas, something outdated gets updated and becomes relevant again, something goes viral on Twitter, yesterday’s must-have new thing suddenly stops trending and gets replaced with the new “new” thing, services get discontinued, people retire, and so on. Social media content is topical content. Posting regular content with your useful comments or insightful opinions to your site not only can help drive more traffic to your business, but your blog or website could end up becoming a “go to” destination or resource for your niche or industry. People could end up referring you to others on social media, and who knows … your site or business could even end up becoming a topical, or newsworthy source of content that others will write about and post in their content. In the next section we explore 25+ social media monitoring resources for WordPress users.